#trump100 Trump clearly draws Ohr Makif (positive impact from above). But OM only comes through the GROUP, hence it’s so insignificant. #Trump #trump100—it’s when they stop criticizing you that you should be afraid. I pray for my haters: if they bark at me, then I’M ALIVE! #Trump #trump100 —100 successful days: revolution via peaceful change transforms the world. A naive delusion: Jewish council of Germany offers refugees to visit concentration camps, hoping for a change in attitude toward Jews. Stunning difference between Petach Tikva and Santiago groups. But if Chile group had an exacting teacher, they’d be just like PT. Is Volunteering Beneficial To The World? Question from Facebook: Is volunteering beneficial to the world? Answer: It depends on what it is. If you help old women to cross the street, the hungry in Africa, homeless people, animals, and so forth, then this work is certainly of no benefit. In the meantime, let people continue to do this, although we can see that the world does not change for the better from this. To understand how the world must change, it is necessary to study the world itself—by what laws it exists and develops, toward what ultimate goal it is advancing, and whether volunteer work helps achieve this goal. If it helps, then let’s develop it. If not, why is it needed? After all, it simply closes our eyes to the true problems and their solution. What is beneficial for the world is only a change in the nature of the person from egoistic to altruistic. This can be done under the influence of a higher force, which we must summon upon ourselves. The higher force, the power of bestowal and love, is hidden from us and can manifest in us if we so desire. How to do this, how to want it, and how to cause the influence of the good higher force on ourselves is what the wisdom of Kabbalah talks about. Therefore, the wisdom of Kabbalah is the method of correcting man and humanity. Question: How should a manager of a business relate to the laborers who work under him? Are they really like his children or his brothers, or are they like parts of his soul? Answer: I don’t have a code of conduct that would determine how a manager should relate to his employees. He must act according to the laws of the world, according to what his superiors demand of him; otherwise, he will not be the manager; he would get fired. On the one hand, a manager must look at the laborers and workers as his subordinates or they will not carry out the tasks that have been placed before them. On the other hand, if he has the power and the authority, he must take care of them as much as possible. But this has nothing to do with the wisdom of Kabbalah. 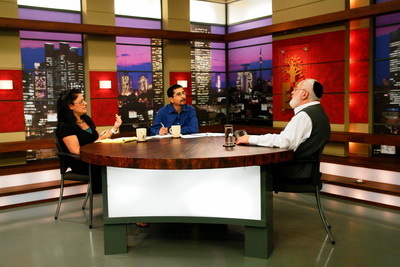 Question: Do people who have been studying Kabbalah for a long time want to know how to relate to subordinates? Do they need to relate to them internally with love and concern, but in an exacting manner externally? Answer: What we learn in Kabbalah is relevant only to a group of Kabbalists who want to realize the advice of the wisdom of Kabbalah. The members of a group can adapt this advice only with the members of the group and perhaps also in the family to the extent that the family fully agrees to this and goes along with the person in this way. I would recommend not trying to apply the wisdom of Kabbalah at work, with family and relatives, in fitness clubs, or in other places that a person visits. In addition, it is not worthwhile to try to convince anyone to act according to the laws of the wisdom of Kabbalah. Question: I have been managing a business for 15 years. I explore and study the motivation and psychology of employees. The employees of students of Kabbalah understand that we are different from other managers, and the attitude of the staff is very confident, but spiritual questions don’t interest them at all. Answer: They don’t need to be interested in spiritual questions. It is possible to soften the atmosphere a bit among the staff through friendship, but no more than this. In no way should we overemphasize involvement with the wisdom of Kabbalah at work. It is already clear to everyone that the nature of a person is egoistic and even the most merciful acts are committed by us for our own pleasure, otherwise we wouldn’t do them. It is impossible to approach egoism in order to change it, after all, it is nature that lies in our foundation. If we try to limit it, then after all our tricks it will eventually grow even more. Every time we touch egoism, it increases; such a terrible monster lurks within us. You touch it lightly and it grows, touch it a little more, and it grows more. You want to destroy it, grab it, and it grows again! So, what can we do? Only the force that created egoism can correct it. That is, we need not limit the egoistic desire itself; we need to turn to the force that created egoism and affect it through this force. Only then we can succeed. That is, we don’t destroy egoism and don’t grow it, but we want to manage it. If egoism is our entire nature, then it is obvious that nothing can be done directly with it. However, the method of Kabbalah gives us the possibility of an alternative way: to turn to the force that created egoism and limit it through this force. Then we can become our own masters. Otherwise, we can’t cope with our egoism. Egoism is our congenital disease, a kind of kleptomania. There were cases when rich, famous people suffered from kleptomania, a painful craving for theft. A woman comes into the store and steals a small spoon or some other small thing. It is a disease, so she can’t stop herself. It is the same for a person based in egoism, who can’t cope with his desire to receive. If we tie his hands, he will try to grasp with his teeth. Such is our nature. People think that it is possible to overcome their egoistic desire. Yet this isn’t so. You can only offer it more favorable compensation. For example, a person wants to lose weight and look beautiful is ready to starve for this. But it doesn’t mean he overcame his desire for food. He simply replaced this small egoistic desire to eat and enjoy food with a stronger egoistic desire to be slender. The desire itself hasn’t changed, only the use of it has. Therefore, humanity must understand that it can’t do without the method of Kabbalah, otherwise the most developed countries will move to Nazism. Baal HaSulam wrote in the book The Last Generation that in the process of development, liberals and socialists suddenly turn into Nazis:. According to the way democrats behave today in the US, it is the beginning of Nazism. After all, if the president was elected legally, he must be given an opportunity to act and govern the state. But the Democrats disagree with this and are doing everything to prevent it. The same soon will happen in Europe. The problem isn’t in a specific person, but in the approach. The society has developed and matured in order to turn into a Nazi society. Question: Does it mean that there is no way out, since it is impossible to change people’s egoistic nature? Answer: There is a way out! There is a tool called the Returning Light, which is the upper Light, that is able to correct a person’s egoism. People need to know this. The most important thing is the recognition of evil. If Democrats remained in power, the world would inevitably come to a war. At the end of its term, Obama’s administration began to talk about a world war openly as about something inevitable. Today, when Trump came to power, the war is already forgotten, and the situation began to calm down. However, this doesn’t suit left-wing parties. Question from Facebook: Why isn’t the wisdom of Kabbalah taught in schools in Israel if it is a science? Why isn’t Kabbalah considered alternative knowledge? Answer: Kabbalah is a totally independent science and not part of it. The difference between the wisdom of Kabbalah and ordinary sciences is that it penetrates the world that surrounds us, enters it, and explores it. Humanity has aspired for that throughout its history and has eventually arrived at a dead end. All the sciences are in crisis. We develop the earthly sciences through our senses, which are limited to begin with. Although we use instruments like telescopes, microscopes, etc., they enable us to extend the borders of our limitedness and nothing more than that. The main problem is that we perceive the world that exists along three axes as a world that exists on a fourth axis, the axis of time. This is how we were created and we cannot exit this framework. We can expand or restrict time, change the axis somehow, but we cannot exit this state. In order to do so, we have to ascend above our essence, whereas the earthly sciences do not enable us to do so. While we exist in the scientific dimensions of our earthly framework, all the sciences developed as they explained man’s attitude to the world that surrounds us. Today, however, having reached a dead end, we begin to realize that there is nowhere else we can develop. It is actually for this reason that the wisdom of Kabbalah is being revealed now. It tells us that we shouldn’t delve deep into matter, space, etc., but we need to go deeper into ourselves, see which tools we are using, and whether we can change ourselves in order to explore the world differently and see a different world. Today, we feel the world we explore through our senses, through our tools of understanding and perception. This isn’t the same world that is external to us, but a world that we feel internally. Here, for the first time, scientists throw up their hands and say: “We have to change man in order to achieve this, but how? We don’t know.” And so the next science emerges offering not to explore what is external to us but to explore ourselves; not to change the world that surrounds us, but ourselves. As a result of changing ourselves, we will know what the world actually is. This will be a totally different science, a science of adaptation, a science of exploring the world according to a person’s level of attainment of the states and the attributes we are in, attributes we can change. The wisdom of Kabbalah is first and foremost a science that changes man and accordingly describes what he feels, including our world. This is the reason that it does not engage in physics, chemistry, or biology and actually not what we feel in the standard state we are in now. The wisdom of Kabbalah engages in the knowledge of how to change ourselves internally and to feel the world by the changing states, as it is felt in a totally different manner then. This is a much wider and richer science, and because it engages in the next levels of man’s development, it reveals to man states that are not related to his body. Even if the corporeal body dies, the states that a person attains continue to exist inside him objectively. We can read about that in the “Introduction to The Book of Zohar” and in many other sources. On the whole, the wisdom of Kabbalah is a very interesting method that explains the true theory of relativity, not Einstein’s, but the theory of relativity of our attainment and perception. In the News (Independent): “MEPs [Members of European Parliament] have warned European countries must ‘seriously’ consider introducing a general basic income to prepare for wide scale unemployment that could come as a result of robots taking over manual jobs. “A draft report, tabled by a socialist MEP Mady Delvaux-Stehres, warns preparations must be made for what it describes as the ‘technological revolution’ currently taking place, including provisions for the ‘possible effects on the labour market of robotics’. “In an interview, Ms Delvaux-Stehres said such a consideration was important to ensure that even if growing unemployment rises due to the technological revolution, people can still ‘have a decent life’”. My Comment: According to Baal HaSulam, in his book The Last Generation, every individual in society will receive in the future, by agreement, everything that is required for his existence and will work according to the needs of the society. He will not aspire to receive beyond his necessity. The society will gradually advance toward this situation through educating itself. The introduction of a system of unconditional basic income without the education of society to become like a single body will not bring the desired result and will only produce new flaws and defects. Cancer developed in parallel with the development of humanity. Cancer is a copy of the relationships between people and reflects a flawed humanity spiritually. The essence of the illness is the hostility of the cells toward the body. Education for good relationships between us heals the root.